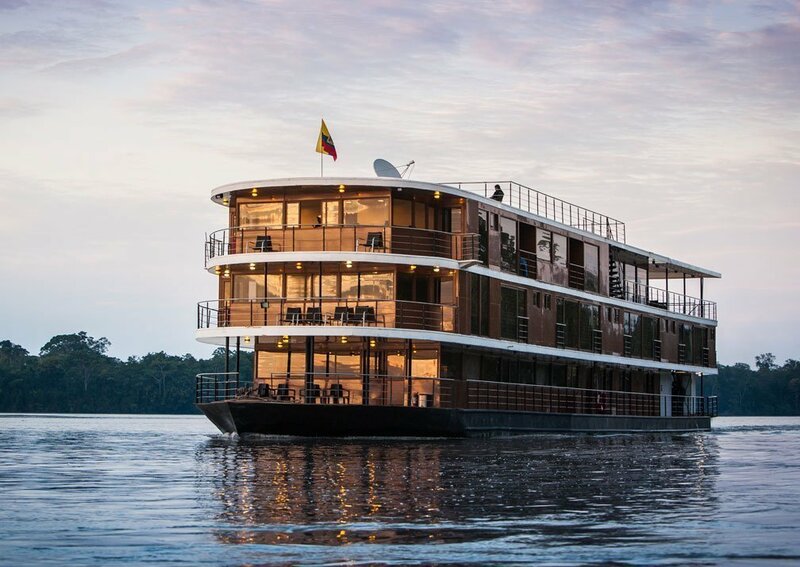 Built in 2013, MV Anakonda is the only luxury vessel cruising in Ecuadorian Amazon. 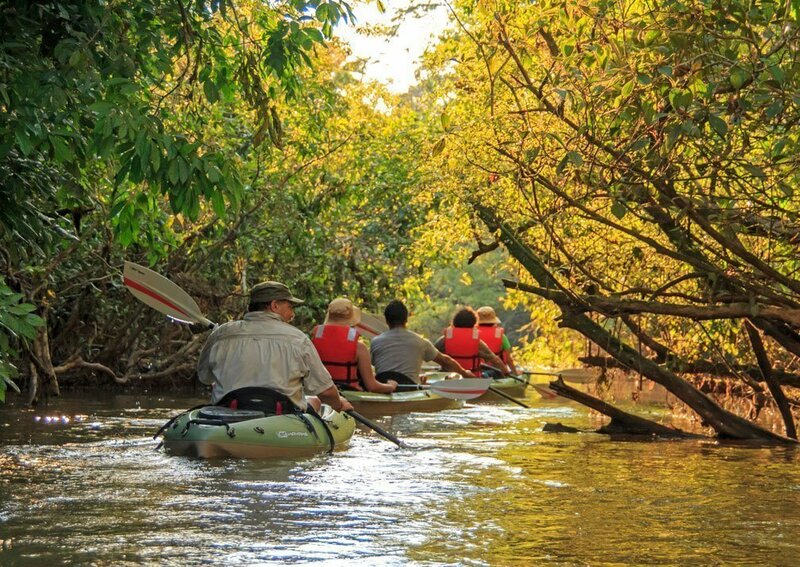 Walking trails, wildlife watching and kayaking trips are offset by time relaxing in comfort on board. 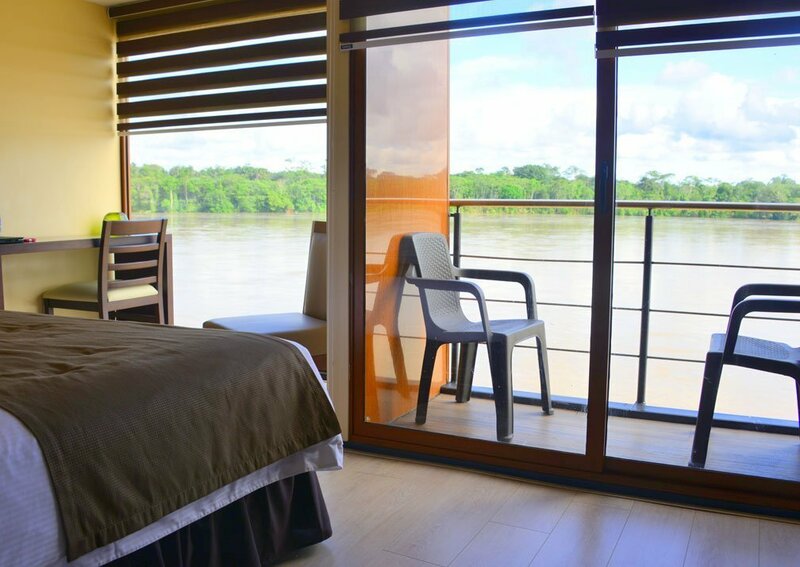 MV Anakonda is a luxury cruise boat operating year-round on the Napo River. She accommodates a maximum of 40 passengers and has a crew of 20 offering efficient and personal service. The 18 suites are sumptuous and spacious, each having a sitting area, large windows and an en-suite bathroom with top quality fittings, toiletries and 24-hour hot water. 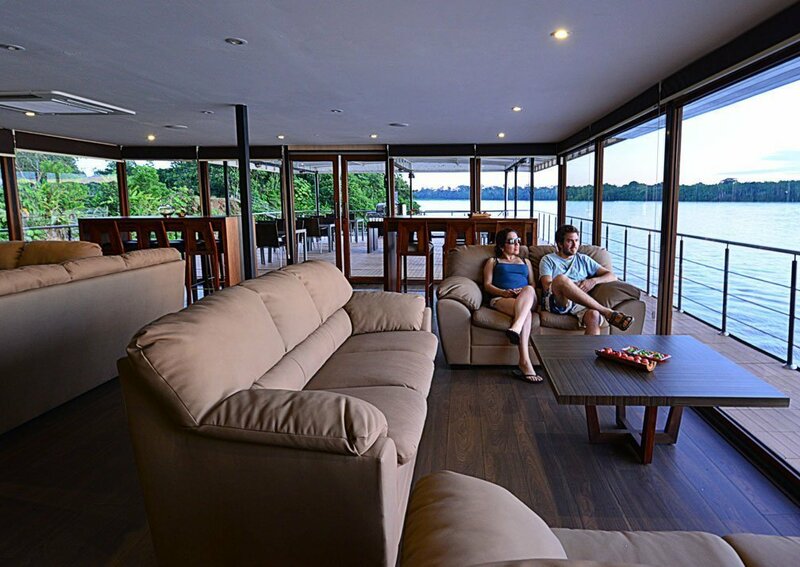 Much of your time is spent exploring the Amazon, following trails through the rainforest, kayaking along the waterways, watching parrots and parakeets at clay licks and enjoying barbecue lunches by the river. There are opportunities to learn about local communities and cultures, too. Some itineraries offer a visit to a 30-metre observation tower, opportunities to tour villages and schools and the chance to spend a night glamping in the forest. 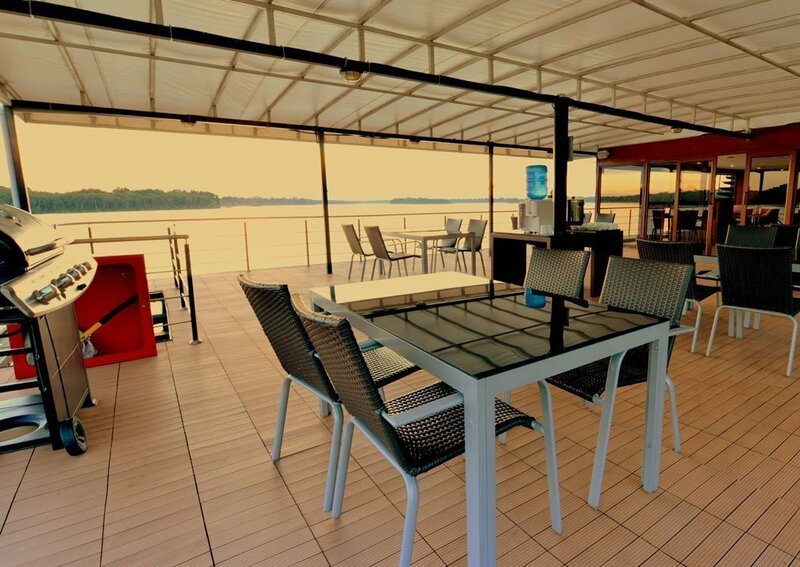 There is ample outdoor space in which to relax between excursions. 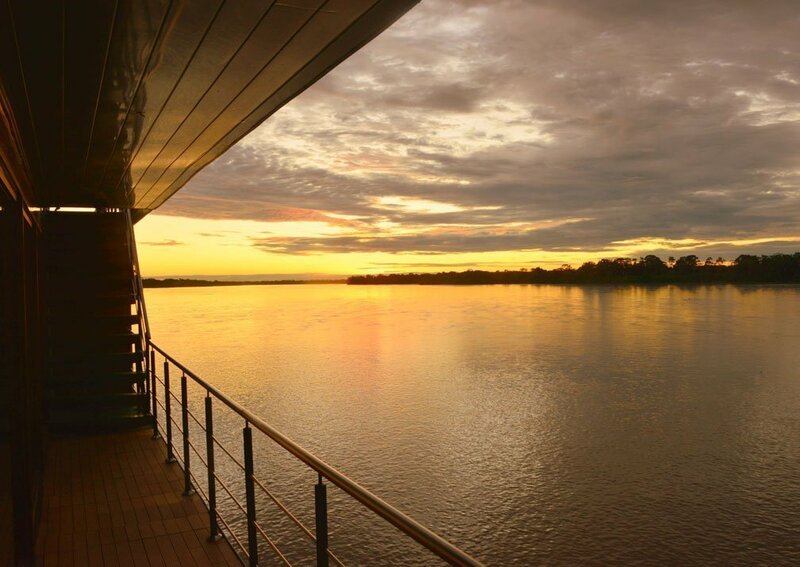 Enjoy the views from the observation deck, chat to other passengers in the open-air lounge, and unwind with a soak in the jacuzzi or a doze in a hammock. Inside there’s a lounge-bar, boutique and a dining room. 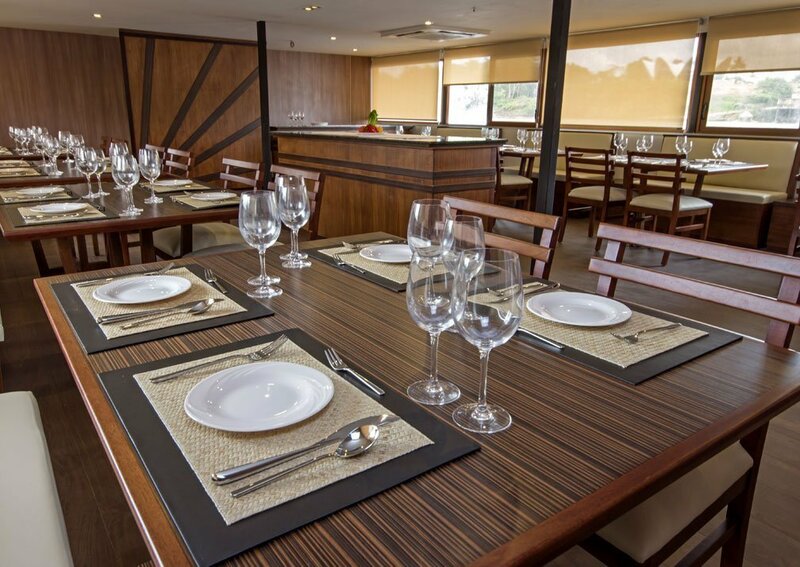 The cuisine reflects the richness of local ingredients and is exquisitely presented. Meals are served out on deck as well as in the restaurant. Tea and coffee are available free of charge throughout the day. Staff at the spa provide a choice of therapies including massage and reflexology. Children of all ages are welcome and there are interconnecting suites for families. 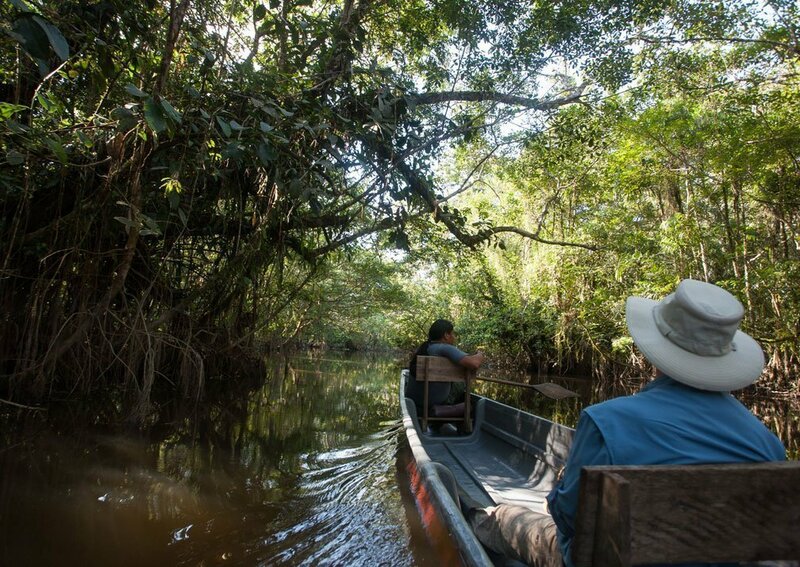 Minimum age limits apply to rainforest activities, but special child-orientated activities can be arranged. 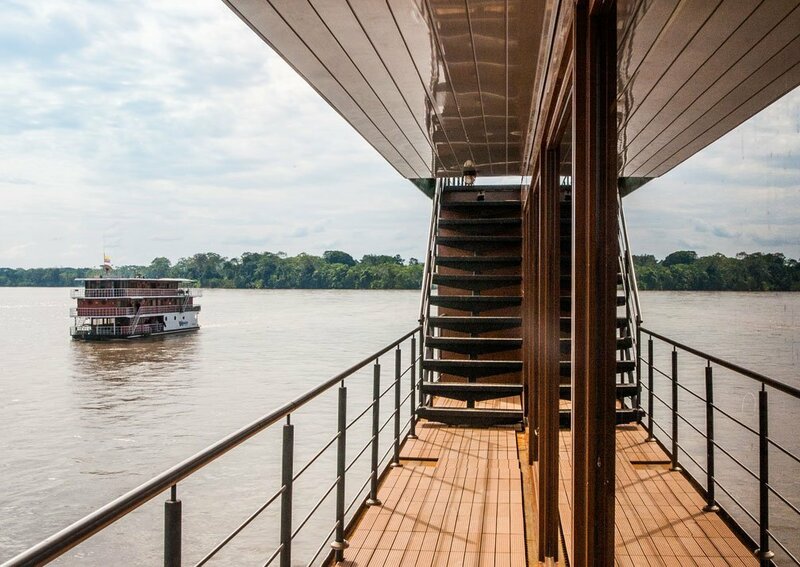 There are 18 spacious suites, accommodating a maximum total of 40 passengers. 14 are standard and 4 are deluxe. 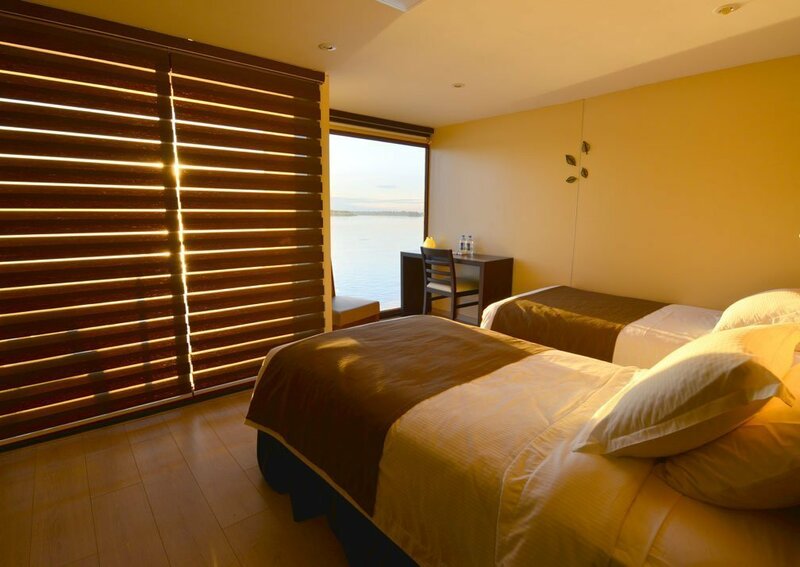 4 of the standard suites are interconnecting, making ideal accommodation for families. 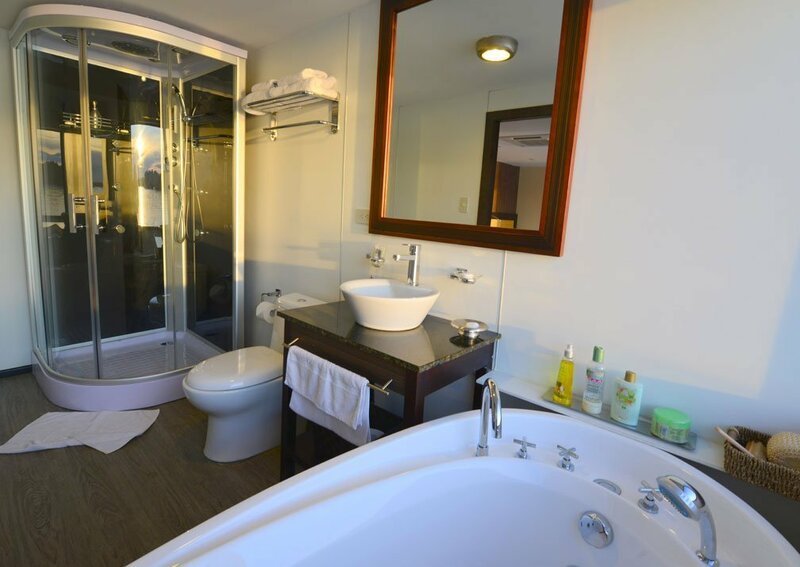 All have panoramic windows, en-suite bathrooms with shower, hand basin, toilet, hairdryer and toiletries. Hot water is available around the clock. 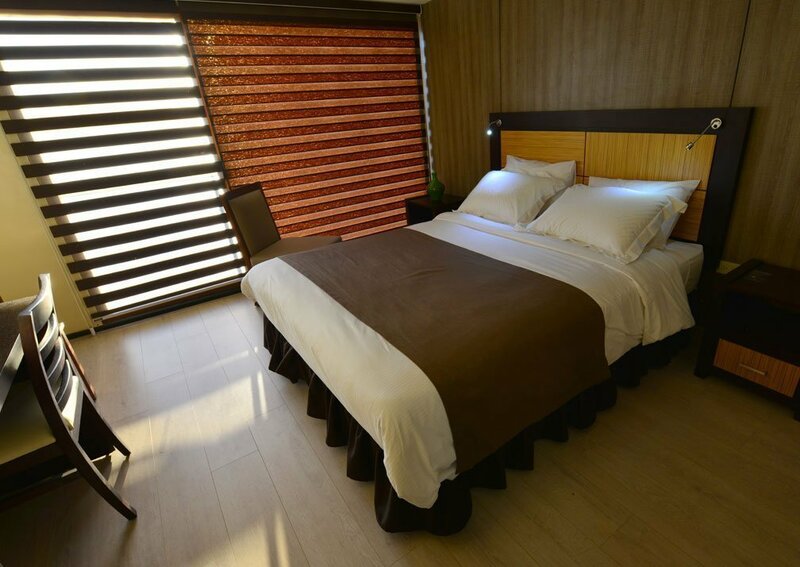 All suites are air conditioned and have full size beds.